Dr. Med. Thomas Turczynsky, specialist for orthopaedics, trauma surgery and special pain therapy, has been practicing methods dealing with operation-preventive disc treatments and special pain-therapeutic problems of the spinal column for more than a decade. The ageing of the spinal column is a naturally occurring and, at times, possibly painful process. This natural course of the pain needs to be given graduated support by a specialist. An individual step-by-step plan consists of a detailed interview, as well as a determined examination, pain scoring and imaging diagnosis, such as sonography, radiography and magnetic resonance imaging, so that pain chronicity can be prevented with therapeutic measures. The most common pain in the spinal column is often based on blockages of the vertebral joints with stimulus levels of particular spinal column musculature, ligaments and nerve roots. 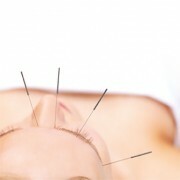 Osteopathic techniques – supported by neural therapy and acupuncture – often provide relief. Signs of exhaustion (arthrosis) also affect individual vertebral joints and cause tremendous pain. 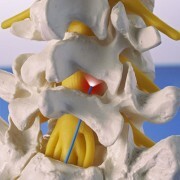 With a specific ingredient combination, while using sonography or image intensification, the pain is often eliminated after systematically locating and infiltrating the joints. In case of permanent back pain, controlled image intensification is used to locate the nerve and the pain receptors that are supplying the vertebral joint, in order to then inhibit the pain through an inserted thermoplastic cannula or a laser probe. 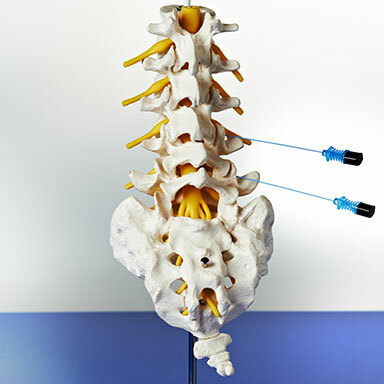 In case of nerve root irritation, the affected nerve – under precise localisation via controlled image intensification – can be washed round with a customised combination of particular medication. 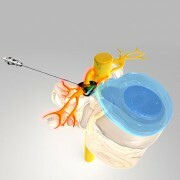 Via a working cannula that is placed exactly in the disc, the disc tissue pressing on the nerve gets shrunk. In many cases, this method even results in an immediate freedom from pain. At an advanced age, disc spaces narrow. In need for additional support, this may result in an exuberant bone formation with little, bony outgrowths and band and gristle compression. This can lead to height reduction and stenosis (narrowing) with a potentially permanent nerve root and facet joint irritation. The minimally invasive insertion of spacers between the spinous processes can reduce such narrowing without a major open surgery with bone removal. Using the natural access through the sacrum and by means of local anaesthesia, via a minor stab incision, supported by controlled image conversion and the administration of contrast media, a special endoscopic micro camera is accurately inserted in the epidural space. 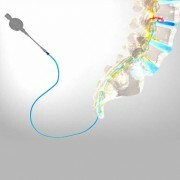 The epidural space can then be inspected through a video chain. 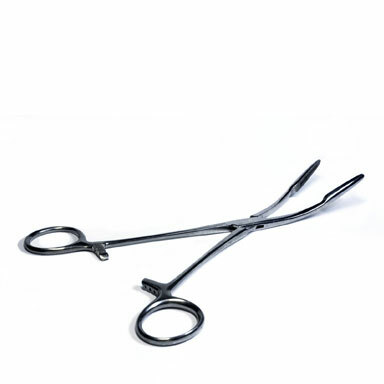 Pathological changes can be monitored via epiduroscope and can be operated minimally invasive and tissue-conserving with micro tools like micro laser probes, small tongs etcetera. 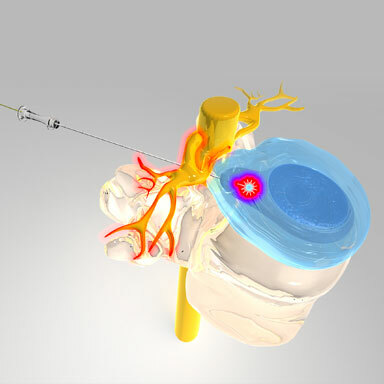 A temporarily inserted catheter with a customised combination of drugs can help to restore the natural tissue milieu and to eliminate the inflammation and the pain it is causing. An implantation of an analgesics pump or electrical stimulation electrodes under visual control for pain reduction is also possible. Those methods are used particularly in cases of scarred adhesions (Failed Back Surgery Syndrome) occurring after a disc surgery or in cases of unclear spinal pain where other pain-therapeutic techniques have proven unsuccessful. If steps 1-3 regarding a slipped disc are permanently unsuccessful in terms of pain therapy, a minimally invasive, open disc surgery using a surgical microscope – with or without a disc replacement (special implants) – might be inevitable. Bony outgrowths and band and gristle compressions, restricting and irritating neural structures and pain receptors, are removed through an open surgery. In cases of growth-related or age-accomplished spondylolisthesis, as well as in the course of a decompression surgery, a surgical screw connection of two or several spinal segments can be necessary to eliminate instabilities. This open surgery is supported by controlled image intensification.